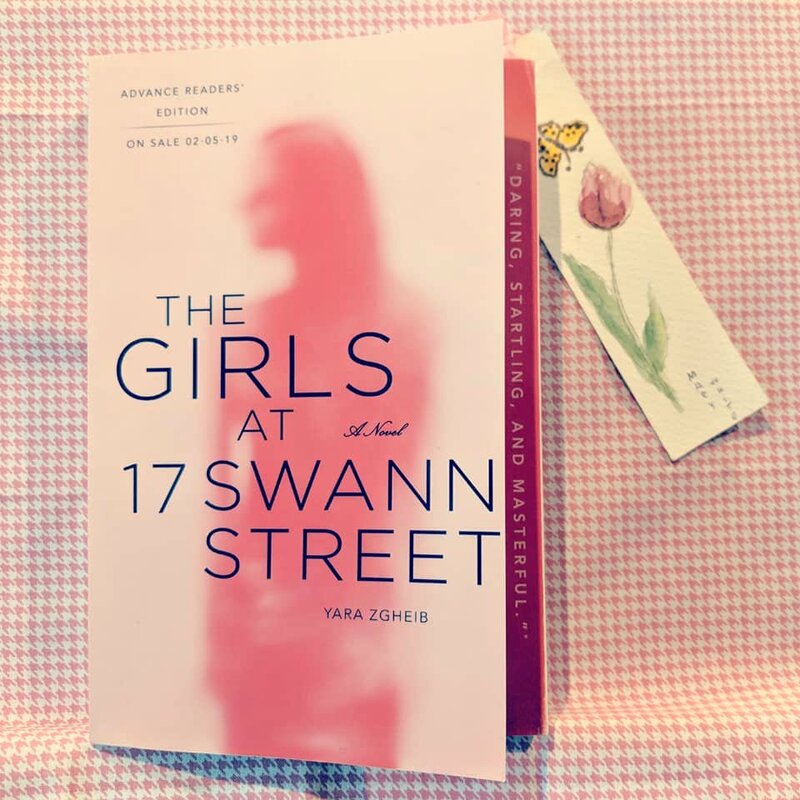 The Girls at 17 Swann Street by Yara Zgheib is the story of Anna and her time at a facility for women with severe eating disorders. Anna is dangerously anorexic and will probably die if she doesn't get urgent treatment. So, she moves into a group home for anorexics and bulimics where she must eat a carefully planned diet and work her way back to health. Through flashbacks we learn how Anna developed the mindset that made her starve herself and view her unfolding love story while in the present she develops fragile friendships and fights her inner demons. 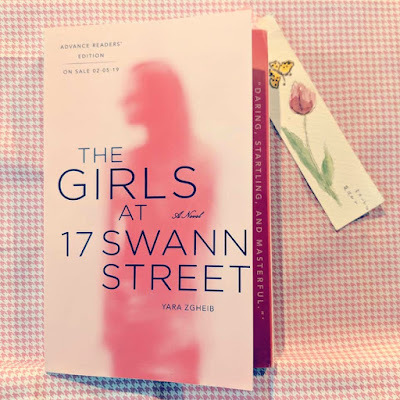 The Girls at 17 Swann Street is harrowing but surprisingly uplifting. It's also a bit of a learning experience. I knew anorexia caused a lot of problems, like heart issues and hair loss, but I didn't realize the extent of the systemic failure it causes, the danger of "refeeding" syndrome (when the body can't adjust to taking in nutrients and a person dies -- although I have heard of this in Holocaust victims, I never thought to apply it to anorexics), or the crippling mental aspect that makes it difficult for an anorexic to force herself to eat. Recommended but this one is rough - I would absolutely not recommend this book to anyone who has a history of eating disorders because you are in the mind of Anna, an anorexic, and her thought process could be triggering. It's a disturbing point-of-view but, as I said, in an informative way. I went through a phase in high school during which I hid some of my food and exercised vigorously because I was convinced that I was fat, but it was not at the level of Anna's dysfunction. I never had the extreme kind of thoughts that she did, nowhere near. It's really quite shocking that someone who is literally dying of starvation can still battle their fear of food in such a dramatic way. Hard as it is to read, reading The Girls at 17 Swann Street is an excellent way to really gain an understanding of the thought process of someone with an eating disorder and why it's so difficult for them to unlearn their habits. 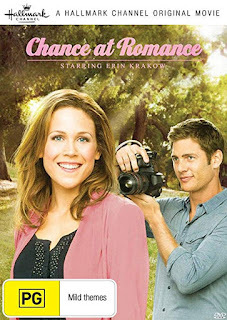 The ending is wonderful and I adored the love story. Anna is married and her husband is completely devoted to her while some of the other girls have nobody or have been abandoned because family can't bear to watch their loved one struggle. A major theme appears to be that with a psychiatric illness, having support may literally be the difference between life and death. I received an ARC of The Girls at 17 Swann Street from St. Martin's Press for review. Thank you! Franny and Zooey is one of those secondhand classics that I spent years collecting (seriously, you should see my classics shelves; they're great) which then spent years collecting dust. Now that I'm back to challenging myself to read a classic read per month, I'm happy to be diving back into those particular shelves. 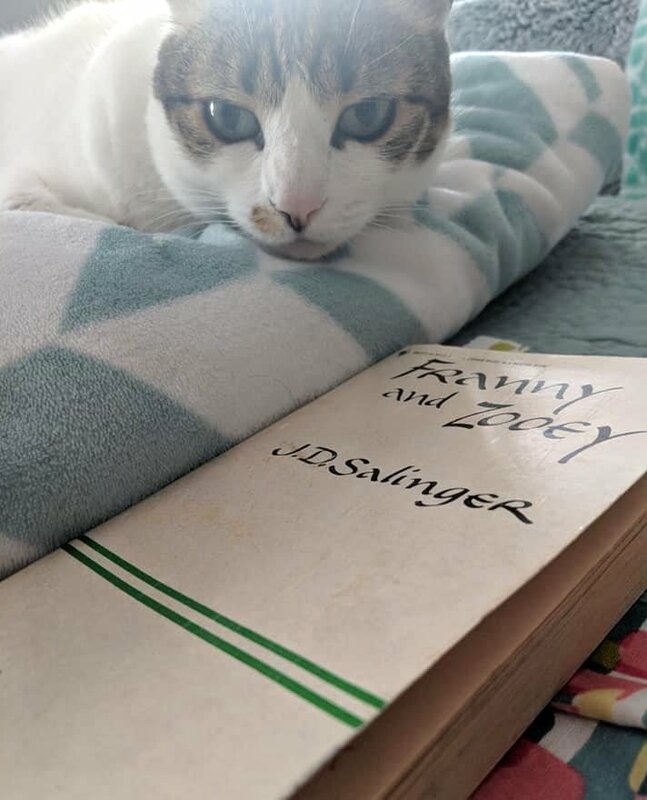 Franny and Zooey contains two sections: one from Franny's point-of-view and one from Zooey's, Zooey being a nickname for Zachary. In the first section, Franny's boyfriend comes for a visit but during dinner Franny slowly goes to pieces and by the end of supper she has collapsed. In the second part of the book, Franny is home after suffering the nervous breakdown during dinner with her boyfriend. Pale and tearful, she spends her time alternately crying and sleeping on the couch while her mother tries to feed her chicken soup and her brother attempts to talk her into understanding the source of her distress in order to knock her back to her senses. There were two particular things I got out of the reading of Franny and Zooey. The first was that it's definitely a product of its time, with long-winded, philosophical dialogue and a bit too much superfluous swearing. The swearing felt unnatural to me in a way I don't recall thinking the swearing in Catcher in the Rye came off, possibly because it was Holden thinking or saying all the swear words in Catcher but the people around Franny who used a rougher mode of speech when she was the one going to pieces. Most of the characters chain smoked in public and private, as well -- something that seems odd in today's mostly smoke-free environment. The fact that religion and/or philosophy was at the core of Franny's breakdown also felt like it was a very time-sensitive thing. Maybe I'm wrong about that. Salinger did seem to enjoy writing about breakdowns, didn't he? The second thing I got out of the book was that, yes, I do believe Salinger was pretty impressive. If you can tolerate the idea behind the book, which is a bit odd (the cause of the breakdown) and put up with the long-windedness of the dialogue, it's actually kind of hard to put down. I have a 1980s copy and by that point it was in its 45th printing. 45th!!! That's any writer's sweetest dream. I had to become accustomed to Salinger's style, I confess. At first, the dialogue just exhausted me. But, then I found myself sucked in, partly because the Glass family's history was slowly revealed and it became clear in that onion-peeling plottish way that everyone was deeply affected by the loss of the eldest Glass son, Seymour, who was the kindest of the children and apparently the most sensitive as he died by suicide. I had no problem whatsoever keeping the Glass children distinct in my mind because the characterization was so sharply drawn, even though only Franny, Zooey, and their mother actually appear in the book. Highly recommended - I do like Salinger. I'm one of those people who fall on the love side of the love/hate polarization of Catcher in the Rye readers, so while there were things I found awkward about Franny and Zooey -- the basis for Franny's breakdown being so weird (although, in the end, it's implied that the book was more of a mechanism for expressing her grief -- at least, that's how I saw it) and all the uncomfortable swearing, for example -- I found the Glass family fascinating and I wanted to know what would happen. What caused Franny to fall apart? 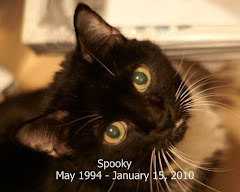 What was Zooey trying to accomplish as he talked her through her breakdown and brought up the book that started it all? The ending is fabulous. 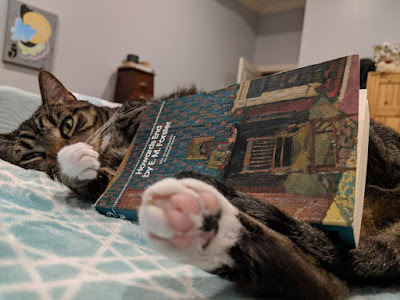 In just a few pages, after you've finally gotten the idea that Franny's obsession with the book may be connected to her trauma over the loss of Seymour, at least tangentially, Zooey does something that helps to moor her and you just want to give him a hug for doing something so wise and comforting. Somewhere, I've also got a copy of Salinger's Nine Stories, which I recall being stories of the Glass family. I'll have to see if I'm right about that. If so, I'll seek out my copy because I'd definitely like to read more about the Glass family. In case you're wondering, I took a raft of photos of Franny and Zooey with various backgrounds and chose the one with Izzy partly because it's a moody book and both the cat's face and the lighting in this particular frame look kind of moody, partly because I just like pictures of cats with books. 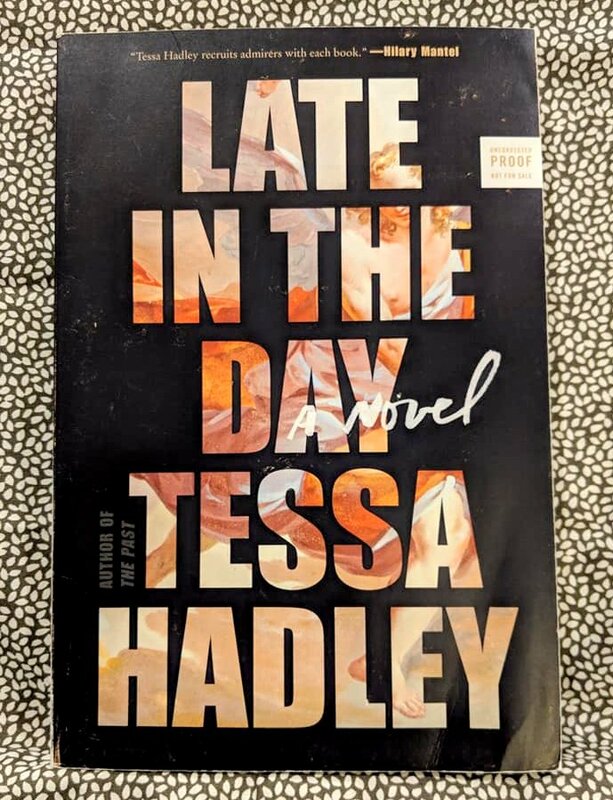 I thoroughly enjoyed Tessa Hadley's last novel, The Past, so I was really excited when I got the opportunity to review Late in the Day. Unfortunately, my second foray into Hadley's writing was not as great as the first. I thought that was an interesting way to state something rather bland, which is that there's infidelity in the story. Now that I think back on it, the side storylines do add a bit of interest. I particularly liked Alex and Christine's daughter. But, the vast majority of the characters were unlikable. That's not generally as much of a problem in a novel that's plot driven (at least to me) but when the story is about the characters it's a different matter. Iffy on recommendation - Much as I like Tessa Hadley's writing (I will definitely read her again), this book was just not for me. It's told as a mix of present-day scenes and flashbacks. The three characters I disliked . . . I didn't even like their younger selves. Christine and Alex perplexed me. What did they see in each other? Alex was a handsome, frustrated poet and perpetual grouch; Christine was an artist but she came off as dead inside. While they appeared affectionate and even well suited, something just seemed off about their relationship. Alex, in particular, appeared to always be unhappy, even when he enjoyed his job and was no longer struggling financially. Lydia was a beautiful slacker who ended up with the average-looking rich guy, around whom the rest of them revolved in some way: Christine as an artist whose work was shown at Zachary's gallery, Lydia as his wife, Alex as his best friend. Lydia and Zachary's relationship was more believable to me than Alex and Christine's; Zachary was the only likable character. 'Twas a pity that he was the one who died. Having said all that, a few days after I closed the book I felt like I sorta kinda maybe got the point of the story -- that we're not necessarily the people we desire or need to be within a marriage and that a death or betrayal can not only change the dynamics of friendship and marriage but may even open up new possibilities. I've seen a little bit of that in my own life as my mother seemed to flower a bit when she was widowed. She grieved deeply, don't get me wrong. But, my father had a huge personality and my mother always seemed quiet by comparison. It wasn't till after she was widowed that I became aware of my mother's sense of humor, which had been subdued by my father's raucous joy. Maybe something of that nature is what Hadley was trying to show. 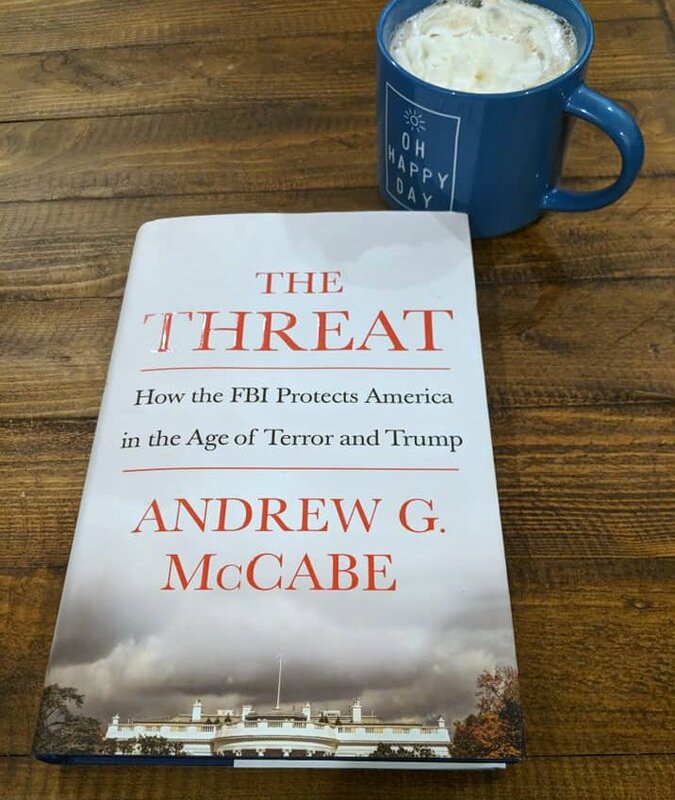 My thanks to HarperCollins for the review copy! Yep, just one book. S'okay. 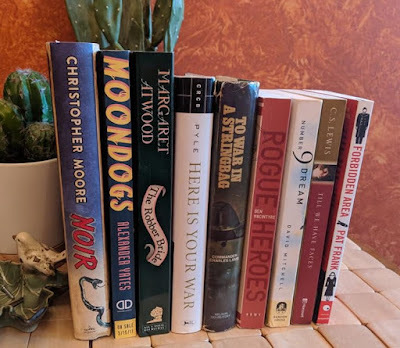 I may have a few other books, here or there. Oh, yeah, you bet I dived right into The Threat. And, it is not only a good book -- well-written, engrossing -- it's also an important one. It'll probably scare the hell out of you but maybe we need that. It also clarifies some recent stories that needed to be explained from the FBI side because we don't hear all that we need to know. 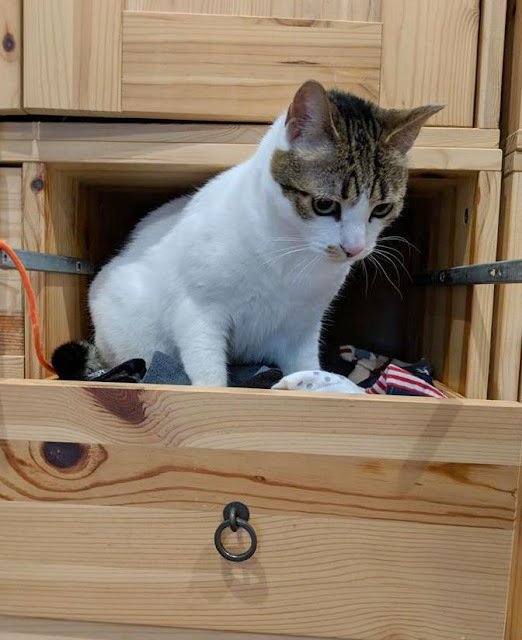 I had an unusually busy week, last week, with a lot of driving hither and yon to various appointments and events, so it was not a big blogging week. I've already pre-posted reviews for this week, though, and a Fiona Friday pic. Go, me. 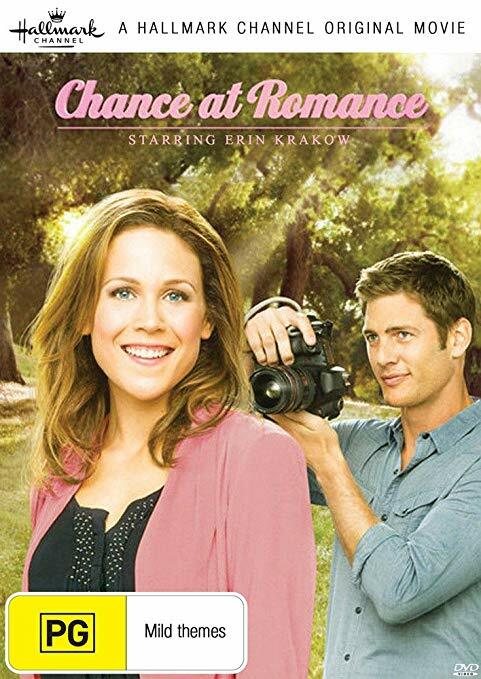 Yesterday, I started watching a Hallmark movie that takes place in Fiji but found the storyline a little boring and the fact that the heroine's face didn't move distracting (clearly, she'd had some botox or a facelift), so I ditched it and moved on to Chance at Romance, the story of a chef who has had a string of unsuccessful blind dates. She sees a photography exhibit and writes an email to the photographer, starting a nice email conversation, but she is unaware that her emails are being answered by his son. When the son invites her for a visit and then sends her a train ticket, she shows up at their house only to find that the actual photographer has no idea who she is. It's a cute movie. Again, not thrilled with the heroine, who kept giving the hero dreamy looks. But, the actor who played the hero was very natural and awfully nice to look at. And, I liked the interaction between the heroine, Samantha, and the hero's son. That's about it for my week. How was yours? Even as a child in Austria in the early 1920s, Hedy's curious mind wanted to know how things worked. What powered automobiles? Which type of motor worked best in an airplane? How could she improve a machine's design? At age five, Hedy took apart her music box to examine the mechanism. Hedy Lamarr's Double Life: Hollywood Legend and Brilliant Inventor by Laurie Wallmark is the second book I've read by Wallmark about women in STEM and I hope this is just a beginning of a lengthy series. This children's biography tells the story of Hedy's interests in science and invention, as well as her love of acting. 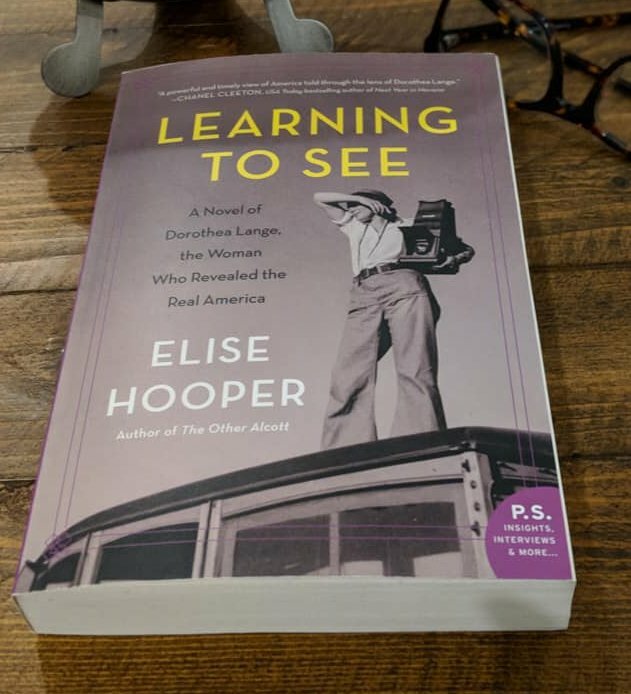 Wallmark describes how these interests grew from her childhood onward, how she became a famous actress but continued to invent, and how she and another scientist came up with frequency hopping, an invention that is used today as a security feature in modern electronics. Written for ages 5 and up, Hedy Lamarr's Double Life is loaded with quotations by Hedy about her life. "(My father) had encouraged me by telling me to hold fast to my dream and that if I held fast it would come true." 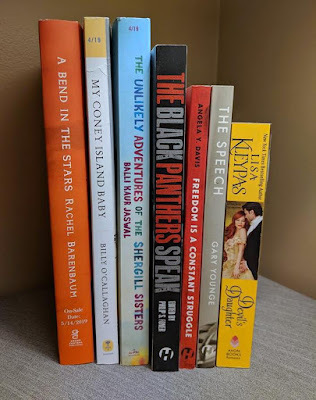 The book includes a timeline of Hedy Lamarr's life; a separate, more in-depth description of Hedy and her friend George's frequency-hopping invention (so the book can grow a bit with your child); a selected bibliography of books about Lamarr and additional suggested reading about women in STEM; and, a list of Hedy Lamarr's film credits. Highly recommended - Books about women's accomplishments and bios of women in STEM seem to be among the new, big things in publishing and I couldn't be happier. It's wonderful to read about smart, talented, driven women. I wish books like this had been available when I was young but I'm happy they're around, now. 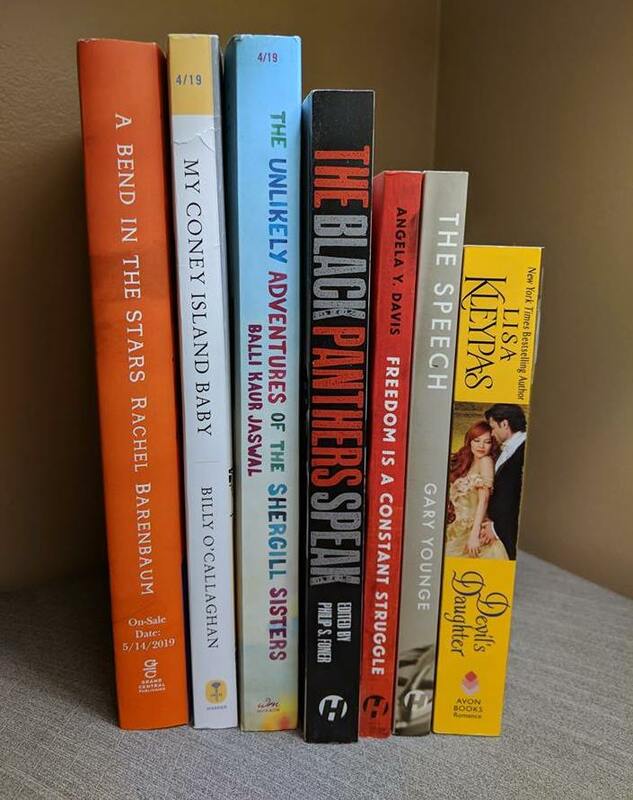 I have two granddaughters and I'm thrilled that they'll have access to books that will help encourage them early if they choose to go into fields that are still, in many cases, male-dominated. Updating: Completely forgot to add the line about who I got the book from. 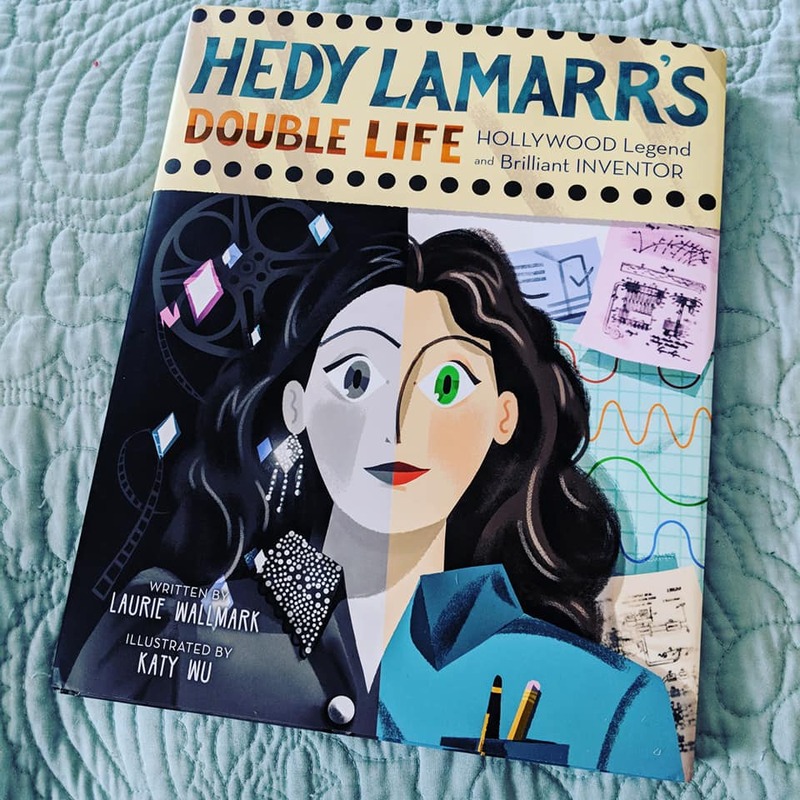 I received a copy of Hedy Lamarr's Double Life from Sterling Children's Books for review. Thank you, Sterling! Please keep this series going for a long, long time!!! 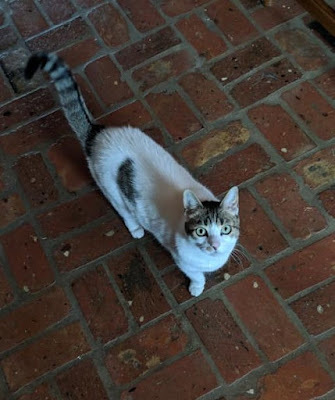 And, for Fiona Friday I give you a sadly out-of-focus photo (it was over too quickly) of Fiona climbing my knees and peeking over to say hello. "Sometimes I don't know why I do anything I do," he said soberly. He looked out of the window and into the fog. Damn, he thought. It was only a week or so till Christmas. A lonely time of the year. He really wanted to fall in love. Set in 1960s Louisiana, As Summers Die tells the story of a small-time lawyer named Willie Croft. Willie spends most of his time dealing with minor cases until something big happens near Bienville, Louisiana. Oil has been discovered close to Creoletown, where the black people live. An older woman who owns land that used to belong to a prominent family, the Holts, hires Willie when the Holt family tries to buy her off and then force her out of her property. She holds the deed to the land she lives on, which was given to her by the head of the Holt family. Her children are his progeny, unbeknownst to the family. When they find out, they're incensed. The rest of the lower-income blacks will probably be bought out or forced off their property if a solution isn't found. Willie calls in an expert in dealing with oil discoveries to help him come up with a plan. But, the Holts will do anything to make sure that at least one deed disappears and the oil profits will be theirs alone. Recommended - A very good story of racism and greed with some clever legal and business maneuvering. I enjoyed rooting for the underdogs and liked the tension caused by the danger to those who dared to try to outsmart the wealthy Holts. I was a little ground down by the racism and the fact that poor Willie was dangled by the woman he was attracted to but I liked the sense of time and place. That surprised me because I'm not a big fan of Southern fiction, in general. 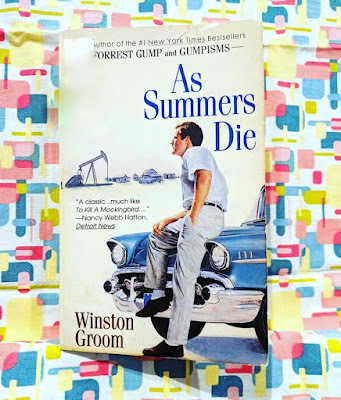 I would never have thought to read another book by Winston Groom, in spite of the fact that I enjoyed Forrest Gump, so I'm glad As Summers Die was an F2F group selection. 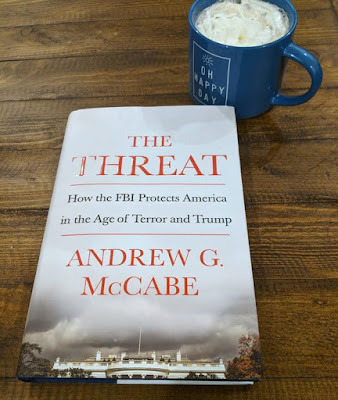 I checked out a copy from my local library (yay, libraries!). Originally published in 1980, the book is now only available new in Print on Demand, which is pricey. Much as I enjoyed it, As Summers Die is not a book I'll reread so I'm really happy the library had a copy. 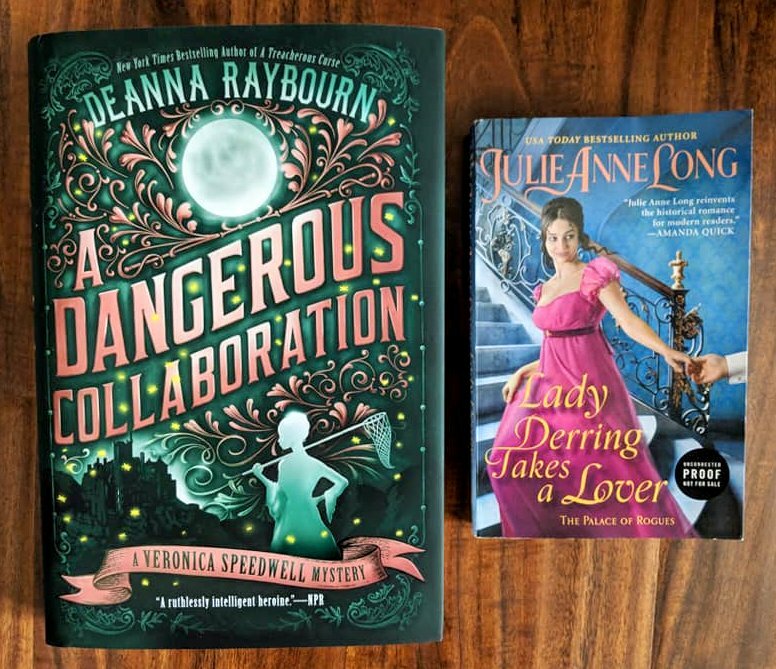 Husband on the sudden influx of romance books: Why are you reading this filth? Me: I'm in the mood for filth. It's not filth, by the way (and he's just being silly). I enjoy the cat and mouse aspect of romance and the certainty of a happy ending. It's good for a lift. I had a little trouble getting into The Feed (a post-apocalyptic novel) and that slowed down my reading a bit but once I got into it and figured out what exactly was going on, I really enjoyed the story. 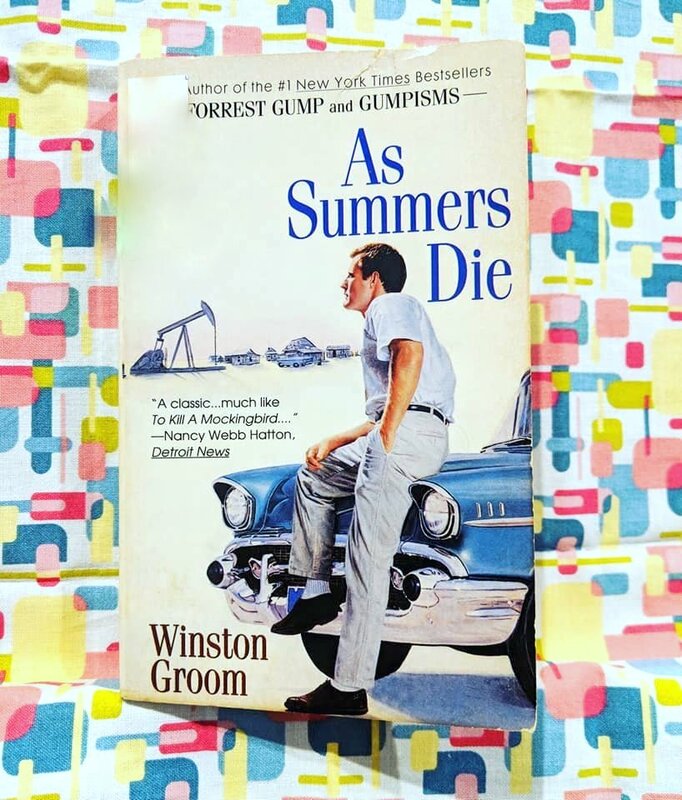 As Summers Die is an older title (1990s) about a lawyer who represents a black woman in 1960s Louisiana by the author of Forrest Gump. I checked it out from the library because it's only available in Print on Demand, which is expensive. I'm so happy my library had a copy. It's a good story but I don't think it's one I'll ever want to read again. And, I'm still reading the Free Speech book and failing utterly to get through it. I'm in more of a fiction mood, right now, so I'll just have to read chapters of that one when I feel like it. 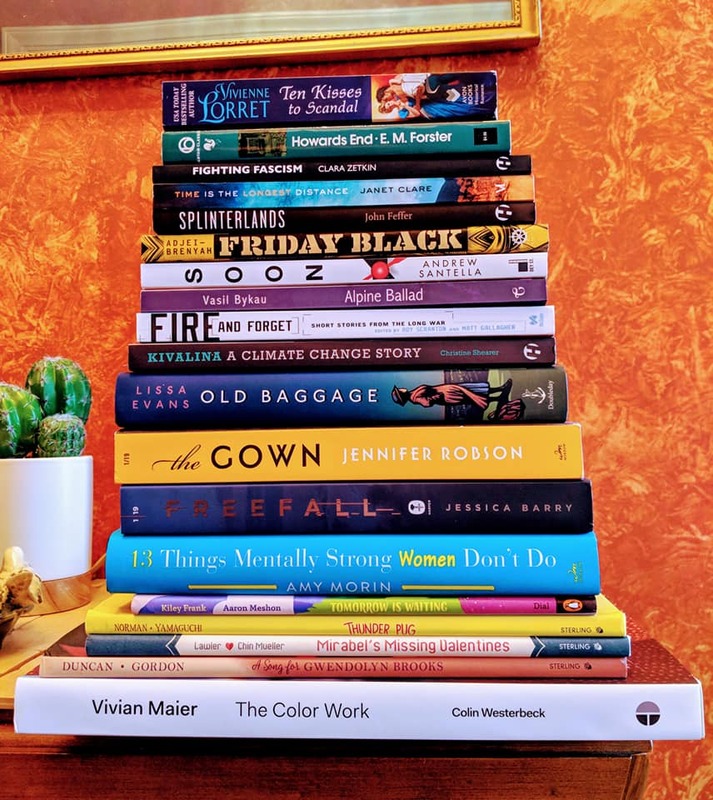 I finished As Summers Die last night and didn't start anything new so I'm between fiction reads and will choose a fiction title tonight. The Story of Us is a movie that takes place in a small town in . . . uh, Washington? Or, maybe Oregon. Ugh, I can't remember. The heroine is the owner of a bookstore with a romantic theme -- hearts and flowers on the wall, a courtyard so romantic that people go there to propose -- and the hero is the standard "you'll get a promotion if you pull off this deal" architect who is supposed to convince the proprietors of shops in his hometown to sell up so he can build a new, modern shopping complex. The heroine fell in love with the shop as a youngster and bought it when she came back home after working out of state for a few years. 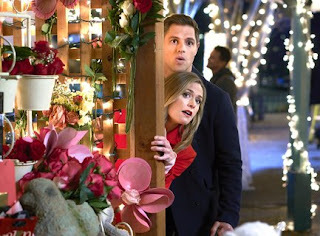 This kind of storyline has been so overdone by Hallmark that it's not even cliché. It's worse than that. It's wrung out. But, amazingly, they managed to keep the dialogue fresh. The Story of Us is charming, funny, and sweet. And, of course, who doesn't love a romance that takes place in a bookstore? Even my husband confessed he enjoyed it. War Games, released in 1983, is an old favorite of ours and we just happened across it while we were flipping channels, last night. Matthew Broderick plays a high-school age hacker who tries to hack into a toy company to play their latest games. Instead, he accidentally hacks into NORAD and ends up playing a game of Thermo Nuclear War with a computer. But, when he hangs up thinking he's cut off the game, he's wrong. The computer is still playing. 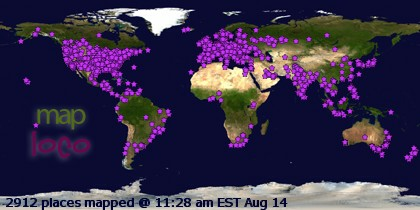 And, the people of NORAD think America is really being attacked. It's amazing how well this movie has held up. In spite of the fact that it's hugely outdated and just seeing the decades-old technology feels like a visit to the museum, the tension level is still there. 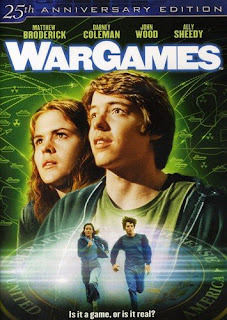 We have a copy of War Games on DVD, somewhere, if Kiddo hasn't run off with it, and we've watched it many times. It never loses that edge-of-your-seat feel, no matter how many times you view it. I think Ally Sheedy and Matthew Broderick were a cute couple, as well. And, of course, I watched Victoria, last night. I hope Victoria and Albert stop arguing and start getting along better, soon, but I wasn't bored. I'm curious whether or not Bertie was actually such a difficult child. I've got a gigantic book about Queen Victoria that I may have to put on next year's challenge list so I can find out what's true and what's not. 1. Ten Kisses to Scandal by Vivienne Lorret - When the youngest in a family of matchmakers tries to do some surreptitious matchmaking of her own, she ends up making a deal with an infamous rake. He will teach her lessons about natural attraction but for each lesson she must give him one kiss. What will happen as the kisses become more passionate? 2. 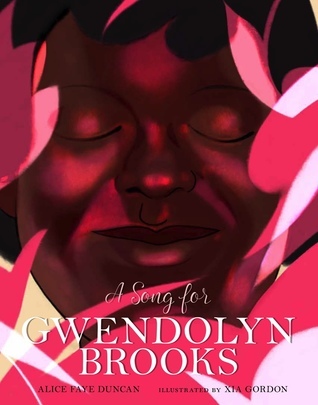 Friday Black (short stories) by Nana Kwame Adjei-Brenyah - A fabulous collection of short stories with focus on racism, consumerism, and poverty. 3. Tomorrow is Waiting by Kiley Frank and Aaron Meshon - A children's book about the many things to look forward to in life. 4. Vivian Maier: The Color Work by Colin Westerbeck, Vivian Maier (contributor) - A coffee-table sized monograph of Vivian Maier's color photographs, with excellent text explaining their value. 5. Splinterlands by John Feffer - In a dystopian future where climate change and the splintering of nations has led to a violent, shattered world, a man goes in search of his family as a virtual avatar. 6. Fighting Fascism: How to Struggle and How to Win by Clara Zetkin, ed. by M. Taber and J. Riddell - A guide to how to fight fascism, written in 1923 and taken up by the Communist party but then abandoned. The author's predictions of what would happen if people of varying beliefs didn't band together and create force in numbers unfortunately came to be. 7. Soon: What Science, Philosophy, Religion, and History Teach Us about the Surprising Power of Procrastination by Andrew Santella - A look into the history of procrastination and a theory about how sometimes procrastination may not be all that bad. 8. 13 Things Mentally Strong Women Don't Do by Amy Morin - A self-help book in which the author analyzes what mentally strong women don't do and helps you figure out how to make the mentally strong choice. 9. The Gown by Jennifer Robson - Two embroiderers work on Princess Elizabeth's bridal gown in post-WWII London while in a present-day storyline, the granddaughter of one of the embroiderers is left a box with embroidered flowers and a mystery. 10. Time is the Longest Distance by Janet Clare - When a middle-aged woman is told her deceased father was not her biological father, she travels to Australia to meet the man her mother had an affair with and get to know her other family. She ends up traveling across a dangerous desert track with them. 11. Freefall by Jessica Barry - After a plane crash, a wounded survivor grabs what she can from the wreckage and runs for her life. Who is pursuing her and why? Her mother doesn't believe she's dead and tries to find out what's going on. Will the crash survivor get to her mother in time to protect her from what she uncovers? 12. Howard's End by E. M. Forster - A classic tale of two sisters who meet a couple while traveling and accidentally steal an umbrella. The two accidents of fate will steer the coming years of their lives and everything that happens revolves around Howard's End, a house in the country. 13. 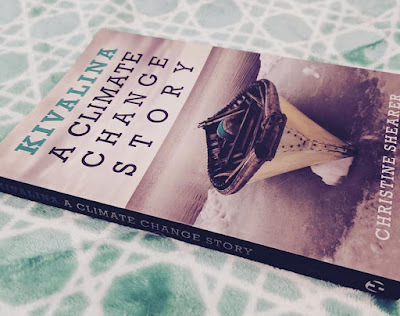 Kivalina: A Climate Change Story by Christine Shearer - The true story of a village in Alaska that is quickly eroding and being swamped by the sea, its inhabitants unable to find the funds to leave, along with a history of corporate deceipt and how it wins out over science to the detriment of our safety and health. 14. 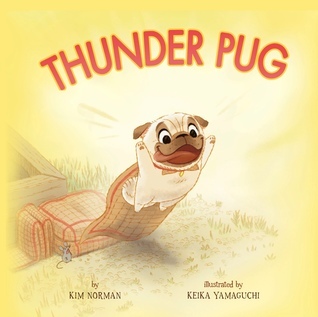 Thunder Pug by Kim Norman and Keika Yamaguchi - A children's picture book about a pug and a pig who discover that everything's better when done with a friend. 15. A Song for Gwendolyn Brooks by Alice Faye Duncan and Xia Gordon - A children's biography of the African American poet that tells how she began writing poetry young and grew to be a prize-winning poet thanks to talent, dedication, and very supportive parents. 16. Mirabel's Missing Valentines by Janet Lawler and Olivia Chin Mueller - Mirabel is nervous about Valentine's Day but she creates some beautiful valentines to give away and then drops them. In the process, she discovers how easy it is to make someone's day and finds her courage. 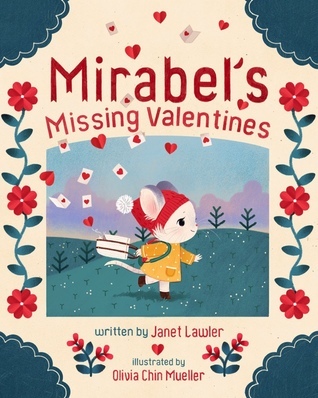 Another children's picture book. 17. 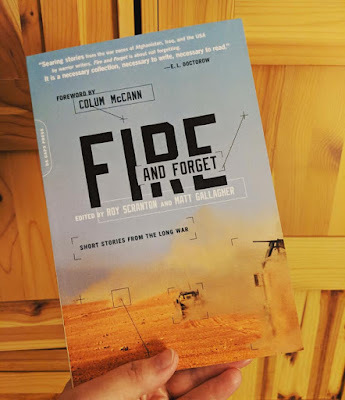 Fire and Forget: Short Stories from the Long War by Ed. by Roy Scranton and Matt Gallagher - An anthology of stories about what it's like to be a soldier or a soldier's wife during a war or at home after deployment. 18. 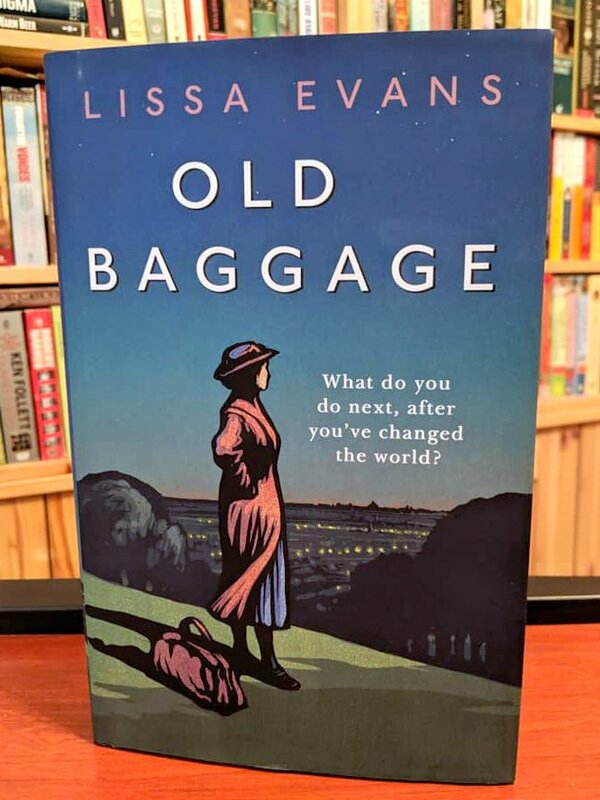 Old Baggage by Lissa Evans - The prequel to Crooked Heart tells the story of Mattie, a headstrong former suffragette who finds a new mission in educating young ladies and teaching them life skills. 19. 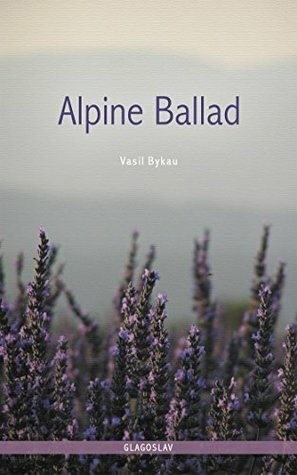 Alpine Ballad by Vasil Bykau, translated by Mikalai Khilo - The story of a Belarusian soldier and a young Italian political prisoner who escape a Nazi concentration camp in Austria, climb into the mountains, and fall in love. Oh, my gosh, what a month! I'm so thrilled to finally have finished all the reviews. In addition to being a great month for quantity, it was a fantastic month for quality. There was not a single book that I really disliked and I don't recall abandoning any books, either. Absolute favorites in January were Friday Black, Tomorrow is Waiting, Vivian Maier: The Color Work, Fighting Fascism, The Gown, Kivalina, Mirabel's Missing Valentines, Fire and Forget, Old Baggage, and Alpine Ballad. That's a lot of favorites. I also enjoyed 10 Kisses to Scandal, and . . . oh, shoot, everything else. If I had to pick on anything at all in the books that weren't my favorites, it would all be minor. Splinterlands was a little dry but worth hanging in there for the ending. Soon is entertaining but just that (not really helpful). Time is the Longest Distance has a lot of unlikable characters but fantastic use of the senses. The pages flew in Freefall but it was kind of odd how a festering wound suddenly stopped being a problem . . . you see what I mean. Nothing was awful or ruined any book for me. It was just a terrific month. She could hear the jangle of the fair in the distance; the music was still playing, dangerously sentimental, and she took a deep breath and began to sing 'The Marseillaise', matching her footsteps to the rhythm of the lines. A spooning couple turned to stare; she nodded at them, pleasantly. People always stared. If one didn't creep around, if one said what one thought, if one shouted for joy or roared with anger, if one tried to get things done, then seemingly there was no choice but to be noticeable. She couldn't remember a time when her path hadn't been lined with startled faces; they were her reassurance that progress was being made. Old Baggage by Lissa Evans, the prequel to Crooked Heart (now one of my all-time favorite WWII novels) tells the story of Mattie. When Mattie meets up with one of her suffragette friends in 1928 and finds out she's running a camp for young fascists, Mattie decides to start a group for teenage girls to educate them and teach them important life skills. But, one of the girls is unreachable and Mattie's determination to light a spark in her life may end up burning the whole project down. I loved Mattie in Crooked Heart and was sad when it turned out she was only shown briefly. She is a marvelous, witty, smart, headstrong character. So, I was naturally excited when I heard that she was getting a book of her own. Then, I bought the book and didn't get to it in 2018. Silly me. Old Baggage was every bit as wonderful as I'd hoped. I'd anticipated meeting Mattie during her suffragette years but she is obviously well past that in 1928. In addition to her new cause to educate and enlighten young ladies, Mattie does slide shows and lectures. At least once, that makes for a very entertaining scene. 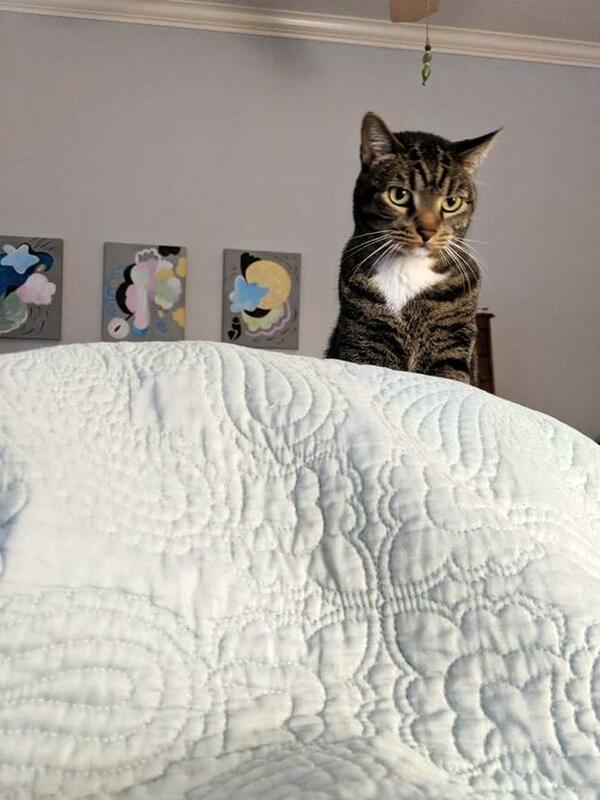 Mattie is single and shares a house with a friend who came temporarily and then stayed on when they realized how comfortably they lived together as housemates. Her housemate is called "The Flea" (a shortening of her name, which I think is Florie Lee, but don't quote me on that) and her house is "The Mousehole", which also has significance. The ending of Old Baggage goes right up to Mattie's introduction to Noel of Crooked Heart, which is a very satisfying way for Evans to have ended the book. Read one, move on to the other. Ahhh. Remind me never to put off reading another Lissa Evans book, please. Highly recommended - Brilliant writing and an utterly perfect prequel. Lissa Evans blows me away. Mattie is a wonderful character. 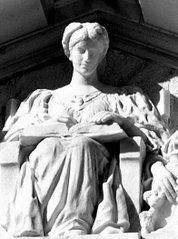 I'd still like to read a story set during her days in the Women's Suffrage Movement, but there's certainly plenty of storytelling about that time through her lectures and dialogue. My book group loved Crooked Heart so I'll drag my copy of Old Baggage along to book group to suggest it for future discussion.